Through the MOST Boilermaker Delivery System, members can now post their availability and register on the Travelers Pool, as well as check their status on their MOST drug test and MOST Safety Classes. ﻿The Union Veterans Council brings union members who are veterans together to speak out on the issues that impact veterans most, especially the need for good jobs and a strong, fully funded and staffed VA. 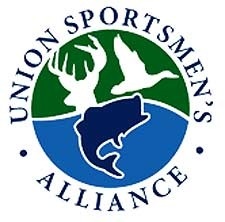 The Union Sportsmen’s Alliance is proud to enjoy the support of many of America’s leading AFL-CIO trade unions and corporate sponsors, many of which are industry leaders. Our partners believe in the USA’s mission, recognize the value of union sportsmen and women uniting for conservation and help bring value to USA members. The IBB Boilermaker Store is now open for business! Shop for a variety of union made, Boilermakers products.